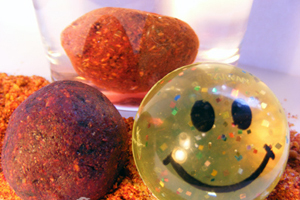 Make Your Best Carp Baits Ever To Catch Your Best Carp Ever! Special Limited Deal, get the book 50% off today! The new generation of carp bait secrets! The totally game-changing 800 page, 350 plus photo ultimate instant bait making success secrets Ebook course, for beginners to the most experienced anglers!This brand new absolutely proven epic Ebook answers 100’s of the most vital bait questions from years of real bait tuitions given, and proven through highly refined exceptional baits, levels, combinations, processes, applications and truly exceptional catches, from countless tuition clients of all levels, again and again! To always keep you ahead to catch more big carp and those much-sought after rarely-caught carp. The most instantly powerful, complete and fastest short-cut to big carp bait making success and on improving and defeating popular readymade baits! Recommendations for Tim’s new ground-breaking bait course Ebook! Following your course, and reading I have had a 62 lb, 50 and 41 pound carp plus thirties in 2015 in a session; thank you for your inspiration! I have so many more exciting ideas; this is absolutely great and has caused me to improve constantly!! I have been far more disciplined, analytical and methodical lately. I made my own hook baits with lots of attraction. One of my results of 2015 was on a hard syndicate lake: I fished an overnighter, all the pegs were taken with 3 or 4 rods on each peg, yet I had 6 fish: 1 was the biggest common in the lake! Note: And I only used 1 rod and no free baits!! Only one other fish was caught at that time, and some anglers had been there for 4 days and blanked! Personally I’ve had so many really good catches, in general have caught more than most other guys, even though I can only manage short nights! Aquaculture and fisheries degree lecturer and keen homemade bait maker! 43.7LB: One of the lake’s very biggest carp! I have been reading Tim’s work for many years, his writing and ideas have always evoked plenty of thought about different baits, its application and most importantly trying to catch more and larger carp! We discussed testing some baits in tanks with mature lake-caught boilie-wary fish and at a fishery as well as in a highly-pressured big carp angling situation. It wasn’t until I had discussed and witnessed the full potential of Tim’s unique method of bait creation and application with Tim that I could fully appreciate its power and attractiveness to carp! I.e. using the baits in a pressured big carp fishing situation! The next single night session I trialed the bait I used a conventional leading brand boilie on one rod and Tim’s homemade paste baits on the other. The rod with the readymade boilie had no action at all throughout the night. Tim’s homemade paste bait received lots excitingly what I believed to be pick ups – and here is the result; one of the very few lake’s biggest carp! Using your course Tim: I only took a 500g block of my new homemade paste to France and banked 8 big carp; only testing it at certain times in different spots. I also lost a real biggie on the new homemade paste bait after just 20 minutes, due to a hook pull. I moved up a size and this equaled no more losses but sadly I didn’t get a chance to see that fish, it just hugged the bottom!!! I noticed popular readymades used even in a live and sticky state took far longer time to be picked up, and that the fish would generally pick up my new homemade paste baits within an hour of being dropped on the spots; really encouraging!!! I have been pretty engrossed in using your new bait making course ebook; it’s a monumental volume of work and full of exciting material, so a massive well done on it all! I hope this appraisal helps with the ebook as it’s so well deserved! 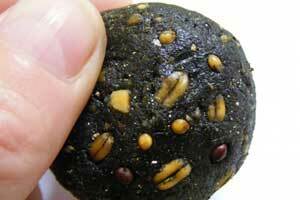 Make Your Best Carp Baits Ever! IMPROVE YOUR HOMEMADE BAITS AND BIG CARP CATCHES FAST! Tim has been studying, testing doing original research on defeating readymade baits and producing truly optimised and maxised baits and writing about big carp and catfish bait full-time for 10 years: with the intention of how to defeat ready made baits, and how to adapt and improve ready made carp baits! He has been published in numerous European carp magazines and in the USA and had his first bait secrets ebook published in hardback in Russian-speaking territories, and had nearly 600 bait-related articles published world-wide. 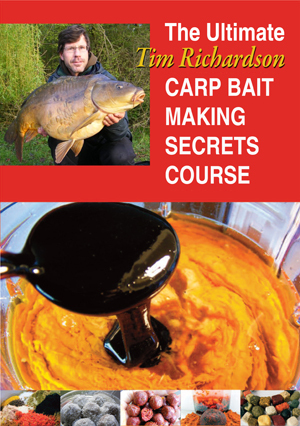 He has supplied unique articles for various carp magazines including having an 18 month series on specifics of “Carp food” within Crafty Carper magazine, discover how to make your own homemade carp bait for big fish; just what truly works best! See the leading, most proven homemade bait course at baitbigfish.com, alternatively contact me for 1-1 bait tuition, and make this year your best ever! Unique one day intensive 1-1 bait tuition for individuals, fishing partners and small groups. Book your tuition now, contact Tim to discuss your questions about this unique opportunity to improve your baits and catches for life! Stimulating Big Carp Bait Articles by Tim Richardson! Unique highly evolved incredibly well proven no-egg boilie, paste and solubles secrets! 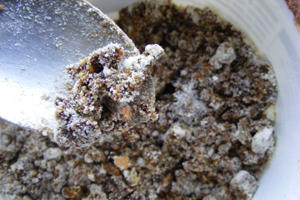 Cultured and fermented bait secrets for instant big fish success! 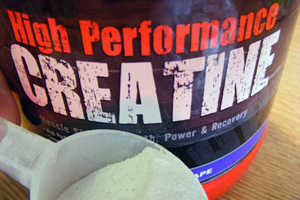 Curing bait secrets and further stages of genuine bait optimisation for instant big fish! Be inspired and take a look at the blog articles now! To get answers to your most vital bait questions regarding the new “Ultimate Tim Richardson Bait making secrets” course and also 1-2-1 personal cutting-edge bait tuition speak with Tim by calling (020) 72813438 or click here to send me a message and ask questions – and let’s make this your year!